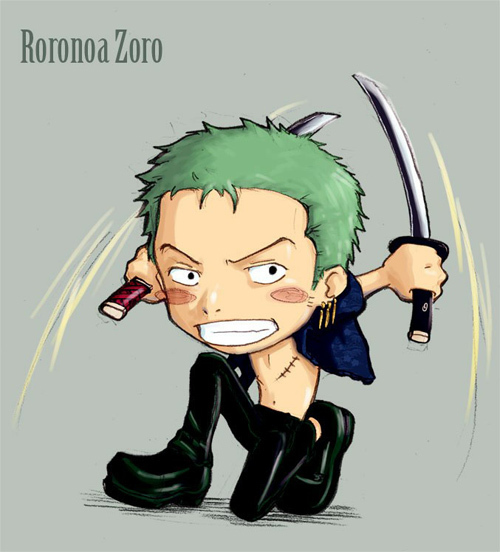 Roronoa Zoro is a fictional pirate and former bounty hunter from the series One Piece. 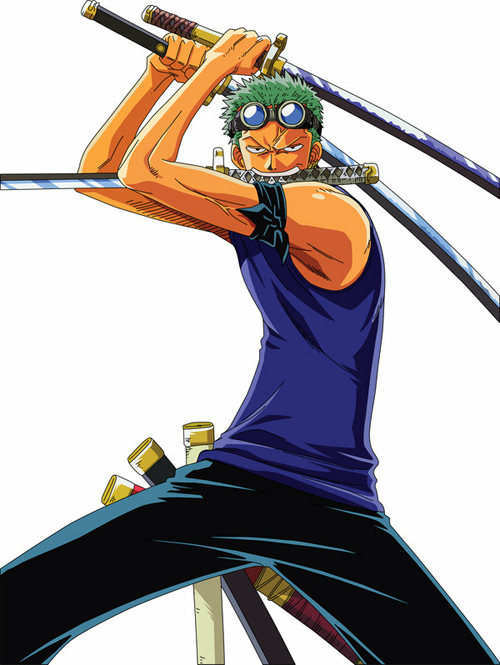 The first member of the Straw Hat Pirates, he is considered to be the largest threat and most dangerous member in the crew, following Luffy. 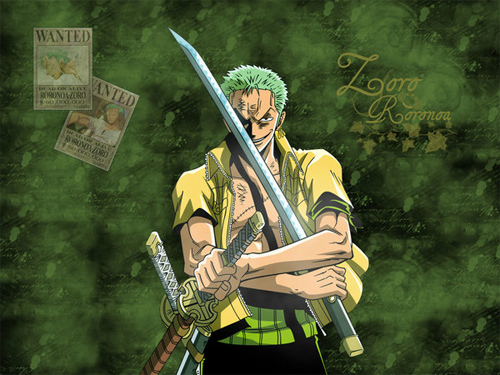 Famed as a master swordsman, his great strength, along with the actions of his captain, sometimes leads for others to believe that he must be the true captain and is widely thought to be the first mate by those outside the crew. 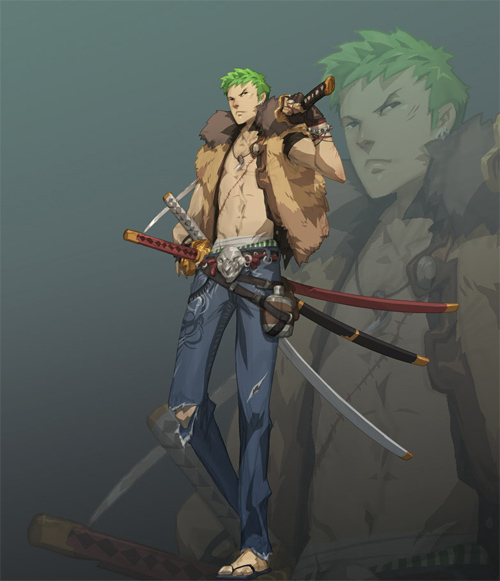 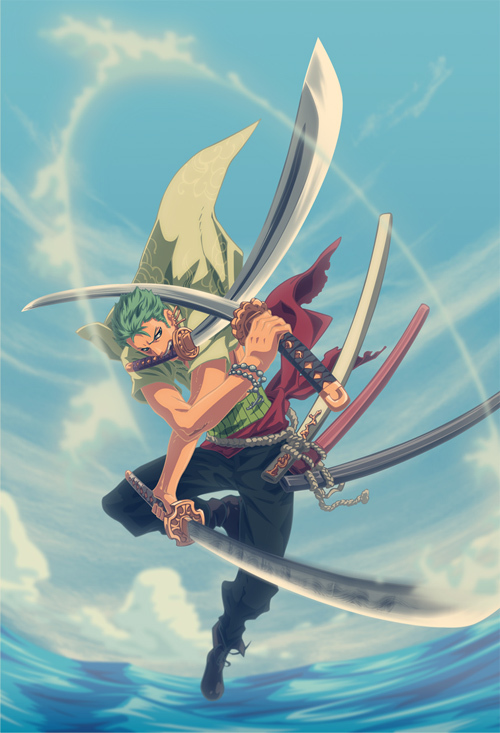 The character’s physical appearance includes average sized, muscular young man with lightly tanned skin, carrying three swords bundled up with a green haramaki over his right hip. 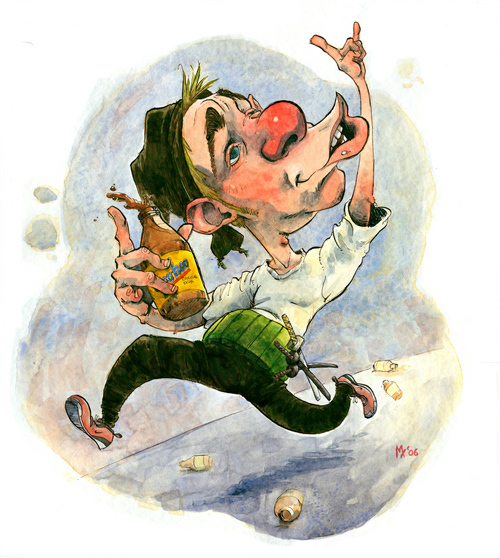 His main identification are the three identical gold earrings on his left earlobe. 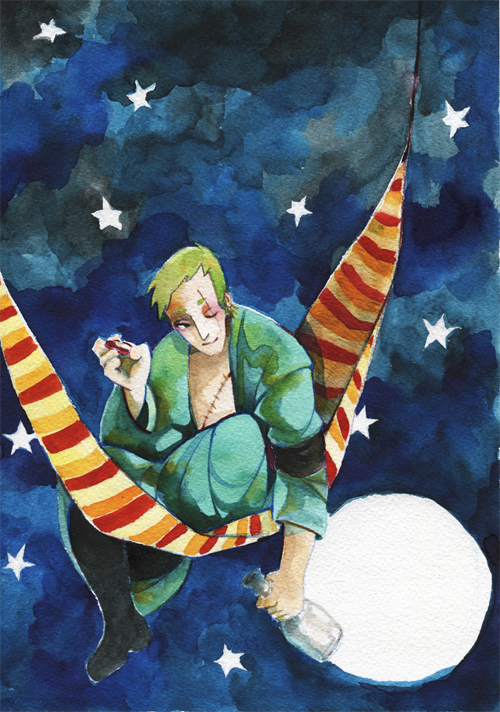 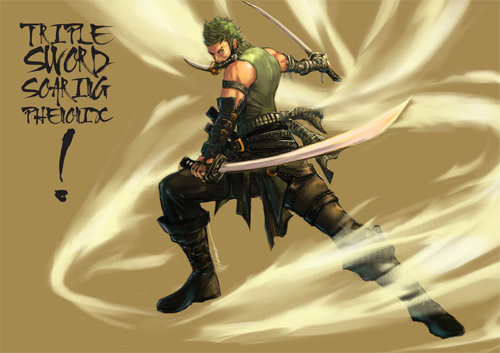 This next post, showcases some creative and distinctive illustrations of Zoro in his finest form. 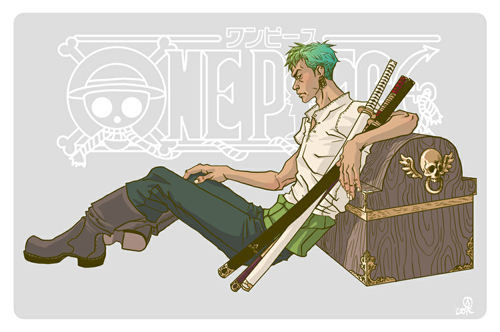 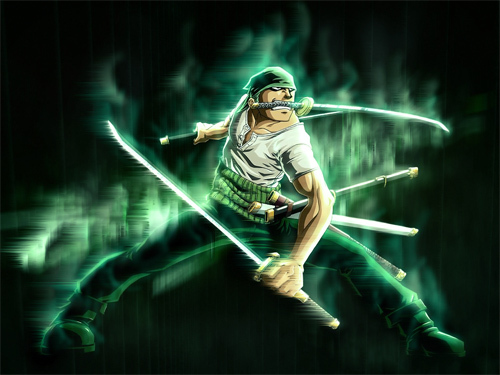 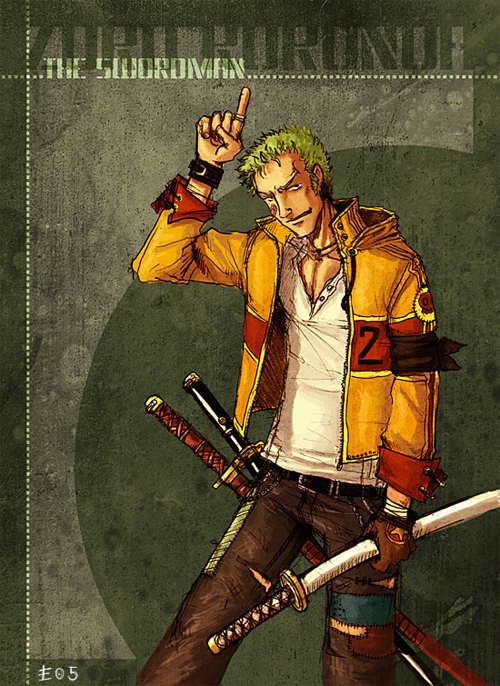 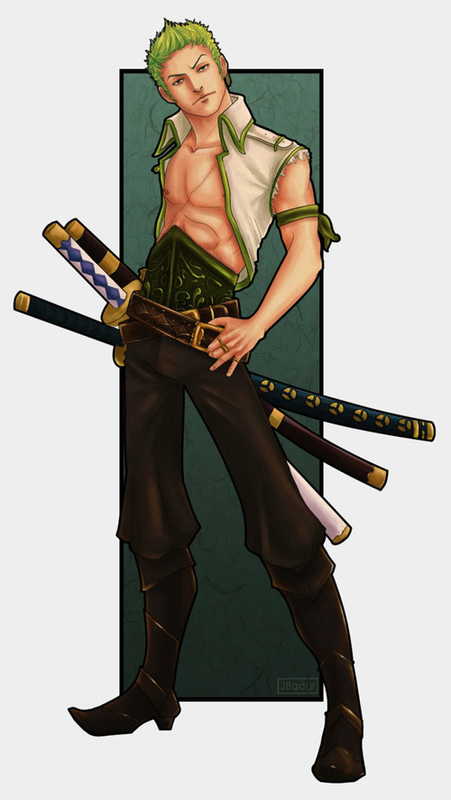 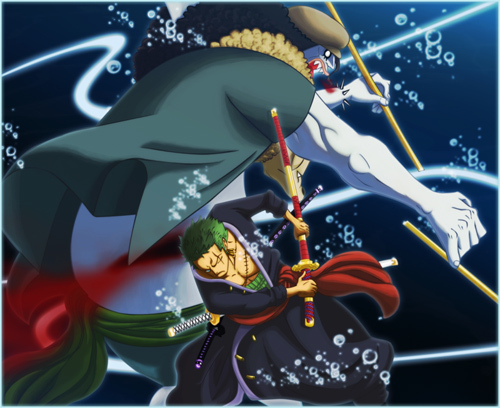 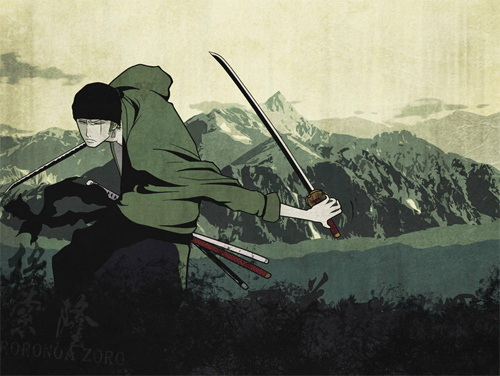 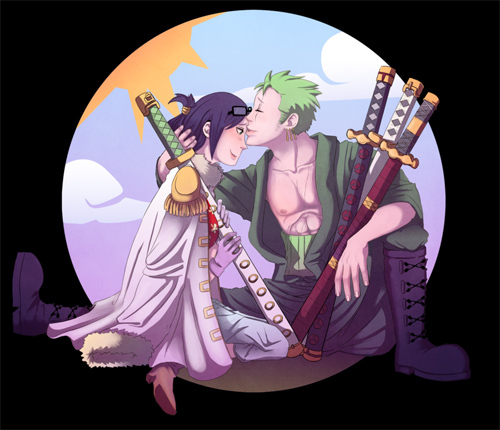 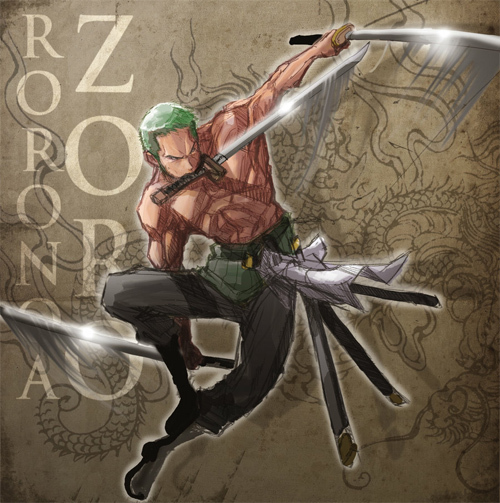 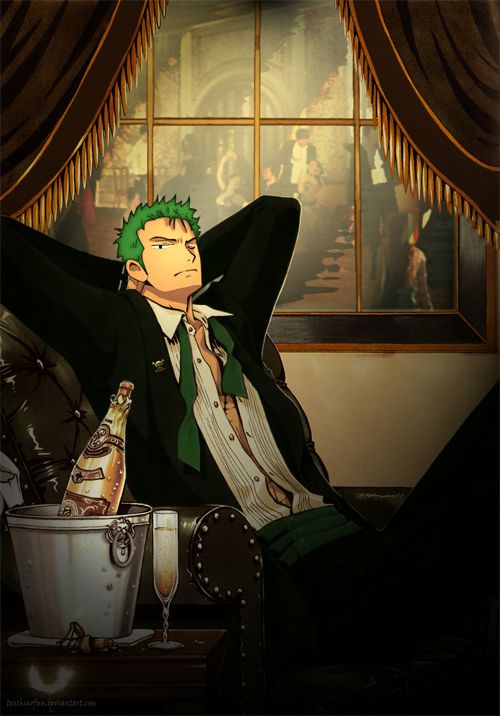 Browse through our 24 Roronoa Zoro Artworks and let it inspire you!!! 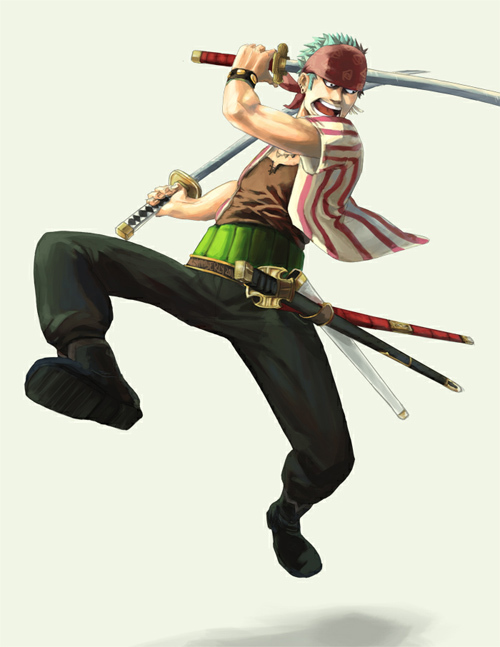 Know any more fun and amazing characters? 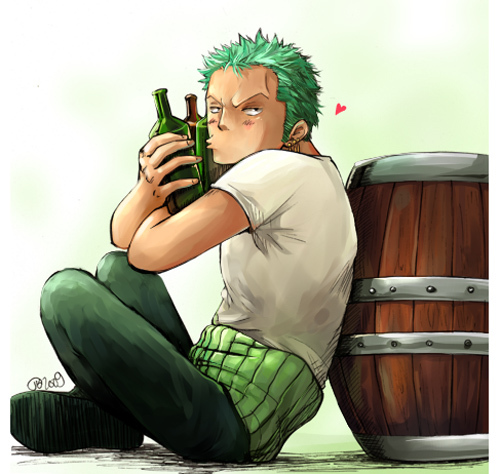 Share them with us! 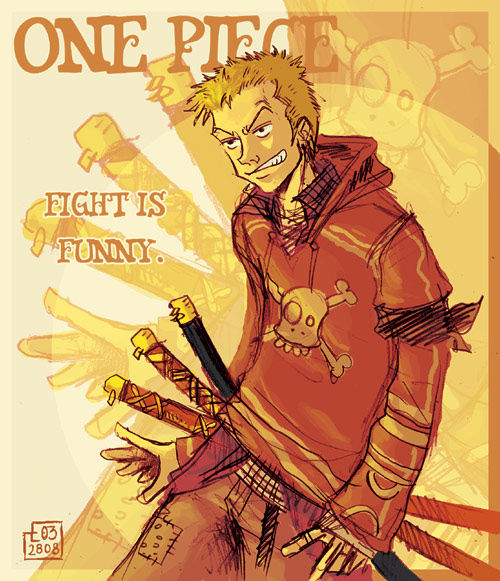 Let us all keep everyone else inspired!!! 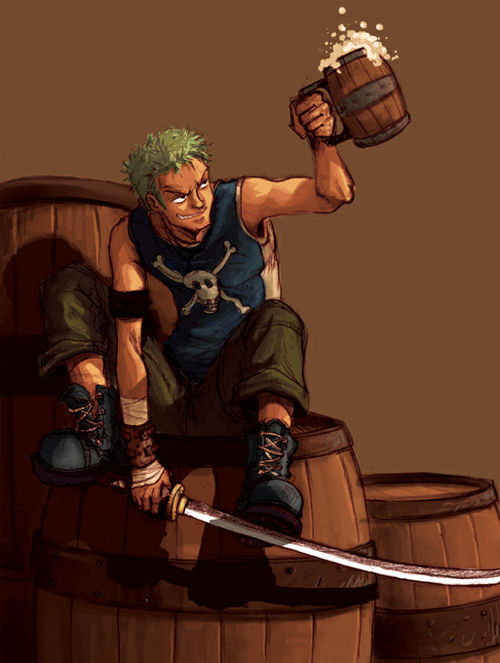 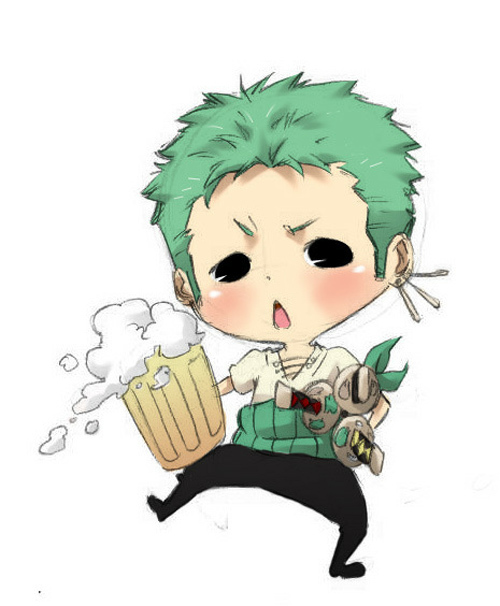 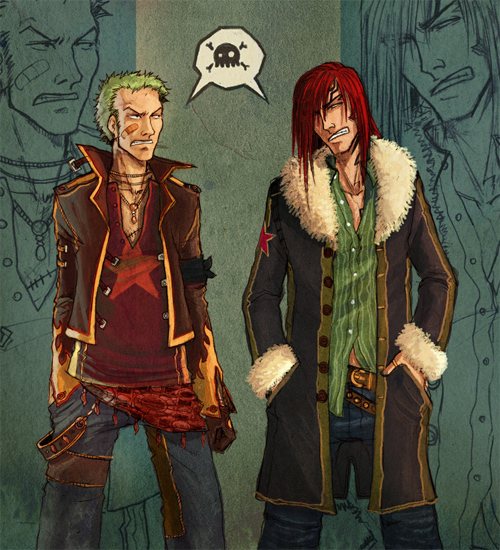 Haha, Party All the Time Zoro looks more like Popeye.